When Tom and I got married I was only 19. I had never lived outside of my parent’s home much less my hometown of Orlando. I loved Central Florida, even with all the changes that had taken place with the arrival of the Mouse a few years earlier. But when I said yes to Tom’s proposal, I also said yes to living with him in Bradenton, FL., a small town on the west coast of Florida, which is south of Tampa. I was in love. I was excited for the adventure, but I had no concept of what these changes would look like in reality. I can sum it up with one word–lonely. I was lonely for the familiar because I didn’t know how to get anywhere. I didn’t know anyone except for Tom, and he worked 60+ hours at Gordon’s Jewelers as a General Manager. I didn’t have a job yet, and I didn’t have any friends. Oh, there were people who reached out to me, like Mrs. Layzell, an older woman who lived in our condo complex who took me under her wing and taught me how to bake pies and bread, something for which my family is grateful to this day. Pies became my signature dish, and my expertise in baking them was born during this lonely season of my life. I remember telling Tom how I wished we could move. 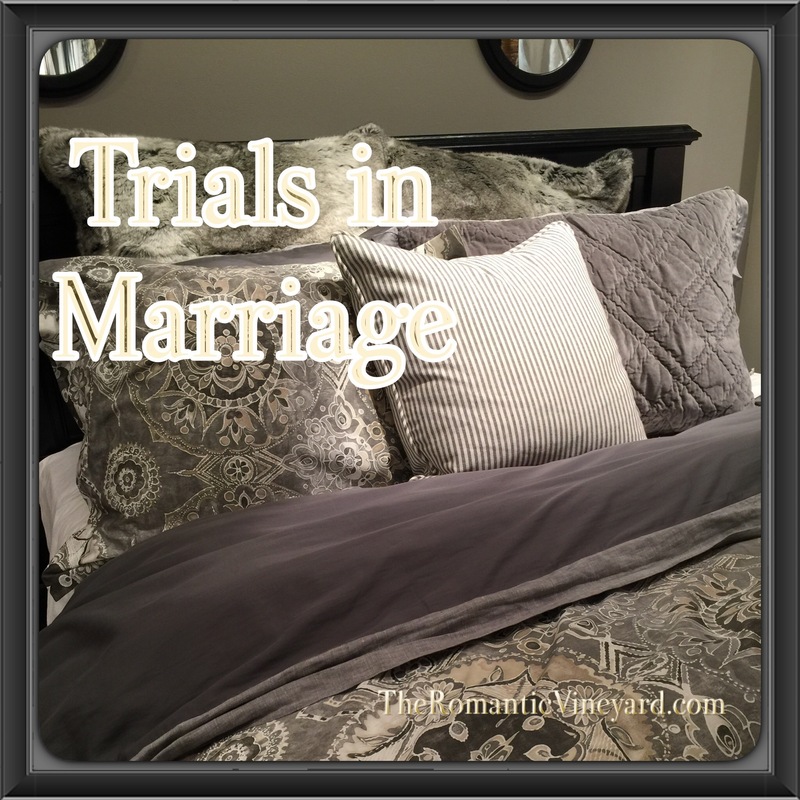 I wanted to feel at home in my marriage and Bradenton didn’t feel like home. We had passed through Miami on our honeymoon, and I didn’t care for the big city life idea at all. I told him I’d follow him anywhere, except Miami! I quickly learned to be careful of what you say, for it may be the next trial. Sure enough, within 5 months of marriage Tom got a promotion, which included a transfer to Miami. He had to be there the next day, which happened to be my birthday. We called the moving company, and before I could say no, we were there. Talk about living in an unfamiliar city–Miami felt like another country! It wasn’t long before I got a job working for the parent company of the job I had in Orlando, which was a bit of familiar that helped me adjust. Each morning when I drove to work I had to get on the Florida Turnpike and pass the sign that said, “South-Miami, North-Orlando.” I can’t tell you how hard it was to go South each day, but I did, and we made some great memories in South Florida. Homesickness has a way of eating away the joy in your soul. If it isn’t dealt with you’ll soon have none. I know because this is what happened to me. What I didn’t know was God was teaching me a lesson I would relearn over and over in the years to come. It was the trial of letting go. No matter what happens in all marriages one thing is certain–change is constant. Whether it’s changing jobs, changing locations, changing neighborhoods, friends moving away, children moving away, it happens and only those who embrace it with complete trust in God will find joy in the midst of the changes. I’m sitting in a small cottage in TN awaiting the birth of our 8th grandchild. She is three days late, and a big change is about to take place in 2 year old Vito’s life. Right now he’s the baby of the family, but soon that will no longer be the case. He’ll have a little sister for the rest of his life, and it’s a good change. But it won’t be easy for him until he adjusts to the new norm. Outside my window is a tree that is obviously not healthy. I know because one side of it has completely rotted away. The other side is held up by a chain wrapped around the old dying part. I don’t know when the chain was added, but by the way it has cut into the bark of the tree, I would say it was put there when the other part of the tree was still in place. Maybe the owners were hoping to save the dying tree, maybe they didn’t want to let go of the inevitable. Whatever the reason the chain didn’t help, it only made things worse, leaving a permanent dent on the tree’s exterior. What changes have you been forced to face in your marriage? Have you chained yourself to the old way hoping to keep things as they were? I can tell you from experience–let go! Holding on to what was is no guarantee that the changes won’t happen anyway. Change will come and those who let go to embrace a new normal most often find a joy they didn’t know was possible. The toll my resistance to change has put on our marriage has been palpable. I’m grateful for a husband who is used to change–he moved away from his hometown when he was in 10th grade to a new state. He willingly changed jobs to find better opportunities. His parents divorced when he was 18 which completely rocked his world. (Certainly this change wasn’t a positive in his life, but he became a Christian shortly after this trial.) He learned that change may seem bad when it happens but it can turn out better than you ever hoped. And this knowledge has helped me grow through many more changes–and there have been many. Whether it’s homesickness you’re dealing with, or the changes wrought by the need to let go, be aware of how this can impact your marriage. Work together and help each other adjust to the changes. This is a huge part of growing and changing together as the years pass. Debi, thank you for sharing this post with me. I loved these words–“No matter what happens in all marriages one thing is certain–change is constant. Whether it’s changing jobs, changing locations, changing neighborhoods, friends moving away, children moving away, it happens and only those who embrace it with complete trust in God will find joy in the midst of the changes.” The Lord is bringing me through a time of change, and I am learning the sufficiency of His grace through the changes and through the pain of homesickness. The Lord bless you as you honor Him; thank you so much for sharing these words of encouragement. Rebekah, there is nothing like change to reveal the things we cling to the most. For me it’s family and a word that it is derived from–familiar. God is helping me see that He is the only One I should cling to. I shared a portion of your post on my FB page. It has been a timely word for me since I’ve been in TN with my son and his family as they added a fourth baby to their world–little Phoebe Wren. Tomorrow I head home and have to say goodbye. Something I’m getting better at doing–at least my tears only last for hours now and not days! It’s a pleasure to connect.